Sometimes it seems as if the expansion of the social networking phenomenon knows no bounds. And now scientists say even aliens might not be immune to Twitter. They could have been using cosmic ‘tweets’ to contact us for decades, researchers claim – but we have been missing them. The reason?While any ‘lost in space’ messages wouldn’t exactly be restricted to 140 characters, as on the website, a study suggests ET is more likely to send out short, directed messages than continuous signals beamed in all directions. Because alien civilisations are likely to strive to limit waste and make their signalling technology efficient. ‘This approach is more like Twitter and less like War and Peace,’ said Dr James Benford, a physicist and president of Microwave Sciences. The brothers looked at the search for another life form in the galaxy from the alien’s point of view.They concluded that scientists involved in America’s Search for Extra-Terrestrial Intelligence, or SETI, may have been taking the wrong approach for five decades.Writing in the journal Astrobiology, the Benfords said alien signals would not be blasted out in all directions but narrowly directed in the one to ten gigahertz broadband signal range. 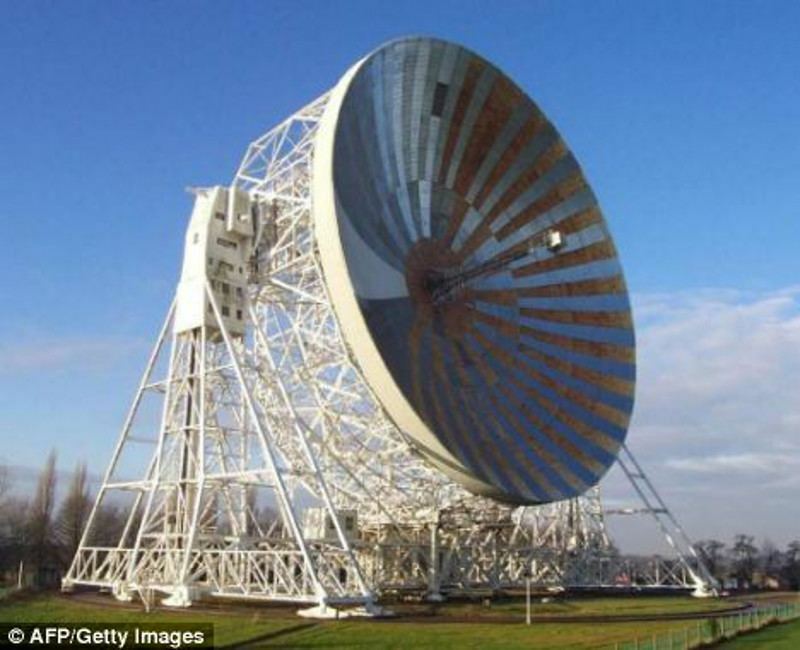 SETI’s search is like a lighthouse sweeping the galactic plane, say the brothers, but that could leave many days when brief Twitter-like bursts of ‘here we are’ flashes from alien civilisations go undetected. The Benfords also said SETI scientists had been looking in the wrong place.Their strategy involves listening out for unusual bleeps from targeted nearby stars.But they should be aiming at the centre of the galaxy instead, said the Benfords. ‘The stars there are a billion years older than our sun, which suggests a greater possibility of contact with an advanced civilisation than pointing SETI receivers outward to the newer and less crowded edge of our galaxy,’ said Gregory Benford.’The SETI effort is worth continuing, but our common-sense approach seems more likely to a answer those questions,’ he added.